On any given day, hordes of people consult online reviews to help them pick out where to eat, what to watch, and products to buy. We trust that these reviews are reliable because they come from everyday folk just like us. But, what if the feedback blurbs on sites ranging from Amazon to iTunes could be faked — not just by nefarious humans, but by AI? These days sites use both machine learning and human moderators to track down spam and misinformation. 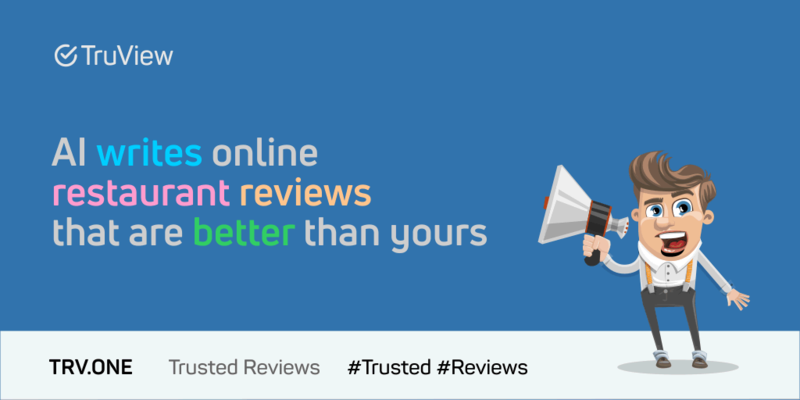 This approach has proven successful in catching crowdturfing campaigns – when attackers pay a large network of people to write fake reviews. That’s what researchers from University of Chicago tried to do, with surprising results. Not only did the Yelp restaurant reviews written by their neural network manage to pass for the real thing, but people even found the posts to be useful. As part of their attack method, the researchers utilized a deep learning program known as a recurrent neural network (RNN). Using large sets of data, this type of AI can be trained to produce relatively high-quality, short writing samples, writes the team in its paper. The longer the text, the more likely the AI is to mess up. Fortunately for them, short-length posts were ideal for their Yelp experiment. They fed the AI a mixture of publicly available Yelp restaurant reviews, which it then used to generate its own fake blurbs. During the second stage, the text was further modified, using a customization process, to hone in on specific info about the restaurant (for example, the names of dishes). The AI then produced the targeted fake review.